Findings of missing boy Daniel Morcombe's inquest to be released. 1. Why the inquest into Daniel Morcombe’s death took so long. 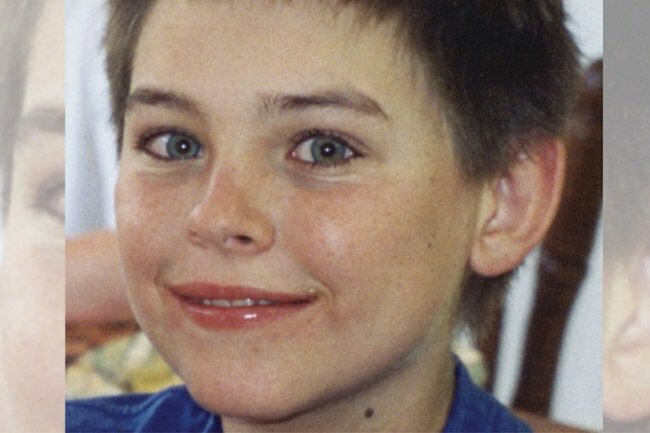 Findings from the inquest into the death of Daniel Morcombe are set to be handed down, some nine years after a Queensland coroner first began examining the schoolboy’s disappearance and 16 years after he was abducted and murdered. Coroner Terry Ryan is likely to focus his recommendations on Friday on the police handling of the case after the 13-year-old’s disappearance from a bus stop on his way to buy Christmas presents for his family in 2003. Daniel’s parents, Bruce and Denise, told 9 News they will be relieved to see the end of legal proceedings. Bruce Morcombe believes the police investigation could’ve been far simpler and quicker. “It’s important that the process, the police review process, is thorough and they get it right because there were some errors made,” he said. The long-running inquest began in 2010 examining if and when Daniel had died, and the adequacy of the police response. The first question has been answered for Daniel’s family. Brett Peter Cowan, now serving life in jail for Daniel’s murder, was arrested in 2011 after confessing to undercover officers in an elaborate police sting. The inquest was put on hold while Cowan faced criminal proceedings, was convicted in 2014 and then exhausted his appeals. It resumed again in 2016, hearing about the police handling of the case. Former police officer Dennis Martyn told the reopened inquest he concluded Cowan had abducted the 13-year-old soon after interviewing him. He said he told the then head of the Homicide Squad Mike Condon it was Cowan but was told to “f*** off”. His former police partner, Kenneth King, also testified he had considered Cowan a key suspect, but the Major Incident Response team did not immediately pursue their lead. Mr Condon told the inquest the conversation with Mr Martyn never took place, a claim he reiterated outside court. The inquest also heard Maroochydore police did not appreciate that Daniel’s disappearance was out of character, treating it as a teenage runaway. The coroner heard their actions were consistent with police policy at the time. The inquest also heard Cowan had been incredibly lucky in managing to coax Daniel away without leaving any forensic evidence or being identified in a more definitive manner. The inquest was told of the tireless efforts of Daniel’s parents Bruce and Denise Morcombe, who campaigned so much for child safety reform that there was little the coroner could recommend in that area. 2. Mum hopes toddler’s battery death saves lives. The heartbroken mother of Melbourne toddler Isabella Rees, who died after swallowing a button battery, has urged parents to speak up and be heard by doctors when worried about their child’s health. Isabella died in February 2015 after 19 days of ill-health, having been sent home from hospital three times by doctors who had diagnosed her with a urinary tract infection. On her fourth visit to Sunshine Hospital’s emergency department, Isabella was found to have a foreign object – a tiny battery – in her oesophagus, but the discovery came too late and she soon died. An inquest was held into Isabella’s death and on Thursday a coroner ruled the hospital’s medical care was “reasonable”. 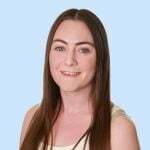 Coroner Caitlin English noted the difficulty in diagnosing a battery ingestion, which can cause alkaline burn, internal ulceration and bleeding, but can show general symptoms of fever, vomiting and discoloured poo. “The non-specific nature of symptoms following ingestion makes diagnoses, especially in young children, particularly difficult,” she said. Parents Allison and Rob Rees had on several occasions told hospital staff that Isabella, known as Bella, may have swallowed something, the coroner ruled. Those concerns about a potential swallowed item were not noted in medical records. But Ms English was not satisfied that the recording of these “vague” concerns would have changed Bella’s treatment. “An incident of swallowing, gagging or choking was not witnessed,” she said. In a statement outside court, Allison Rees thanked the coroner for her “sensitive and caring” approach to the inquest. She hoped Bella’s story could prevent future battery button tragedies, saying the inquest highlighted issues around documenting parental concerns. “We believe our beautiful Bella could’ve been saved, especially if early detection and intervention of a button battery ingestion was made,” she said. “To all the parents and carers out there … You know your child better than anybody. An X-ray is the “gold standard” for diagnosing swallowed batteries but doctors must be careful not to overuse them, the inquest heard. “It’s kind of over-simplistic to think because the kid swallows something, we would necessarily get an X-ray or ultrasound,” Dr Ruth Barker, an emergency paediatrician from Queensland, told the inquest. The coroner said button batteries seemed “innocuous when held in the hand” but are “extremely dangerous if ingested”. “Their shiny, smooth surface makes them attractive to small children,” Ms English said. She supported the Australian Consumer and Competition Commission’s recommendation of law changes to bring in general safety provisions for consumer products. She also recommended Kidsafe Victoria consider running button battery awareness campaigns, particularly around major events like the Royal Melbourne Show, when children are more exposed to the products. Western Health, which operates Sunshine Hospital, welcomed the findings and again offered condolences to Isabella’s family. “We have taken a range of steps since Isabella’s death to reduce the likelihood of such a tragic incident occurring again,’ chief medical officer Dr Paul Eleftheriou said. 3. Bill Shorten promises billions for health and education if Labor is elected. Bill Shorten’s pitch to be prime minister starts with billions of extra dollars for health and education, and bigger personal income tax cuts for workers. He’s promising $1.2 billion to make almost all cancer scans free and another $1 billion to create 150,000 apprenticeships. The Labor leader’s budget-reply speech included a promise for six million free X-rays, mammograms, ultrasounds, and PET and CT scans. “For so many people, cancer makes you sick and then paying for the treatment makes you poor,” Mr Shorten told parliament on Thursday night. “If we win the election, not only will we provide new MRI machines to communities where they are needed most. Mr Shorten also promised to match the coalition’s $1080 tax cut for 4.5 million middle income earners. But he’s gone further for people earning below $45,000 a year, with the lowest income workers getting $350 a year compared to the coalition’s $255. “To give these workers the tax cut they deserve, Labor will increase the offset for low-income and part-time workers,” Mr Shorten said. However, Labor would not go ahead with the coalition’s planned July 2022 tax cuts or the July 2024 changes – which make 94 per cent of workers pay no more than 30 cents in the dollar, with the biggest benefits going to the wealthy. The coalition promised to create 80,000 apprenticeships to fill the skills shortage, but Mr Shorten will almost double that with a $1 billion pledge. Labor will also provide $433 million to immediately cover specialist consultations for cancer patients. “Over the next four years, this will mean an additional three million appointments are bulk-billed – with no out-of-pocket costs,” Mr Shorten said. Finance Minister Mathias Cormann criticised Labor’s record of delivering deficits when in power and Mr Shorten’s plans to raise taxes. “Last time in government, Labor delayed the listing of important new medicines on the PBS because they ran out of money,” Senator Cormann tweeted. Mr Morrison has promised a $7.1 billion surplus in 2019/20 and a plan to wipe out net debt by 2030. Mr Shorten promised bigger surpluses but didn’t detail what they would be. 4. In 2019, there’s been two measles cases a week in NSW. Thirty people in the past 100 days have been diagnosed with measles in NSW, with the latest becoming exposed to the highly contagious disease in a GP waiting room. The young woman likely acquired the infection while at an Eastwood medical practice in mid-March, when an infectious patient who caught measles in Thailand was also present. The case, confirmed on Thursday, means the rate of diagnosis since Christmas Day has averaged more than two a week. Earlier this week, two babies too young to be vaccinated were confirmed to have caught the disease in Sydney. “We eliminated measles in 2014 but over the years we do have a few outbreaks,” NSW Health’s communicable diseases director Dr Vicky Sheppeard told AAP on Thursday. “And the most common place to spread measles is in a hospital emergency department or a GP waiting room. Dr Sheppeard urged people who feel ill and show symptoms of measles, such as a cough and a rash, to call ahead to their GP. “That way, when you arrive, you can be put into a room away from other people. NSW Health warns the woman diagnosed in the latest case visited several areas between March 28 and April 1, including Epping, Redfern, Alexandria and Auburn. Those who may have crossed paths should monitor themselves for symptoms until April 19. 5. Felicity Huffman and Lori Loughlin in court over US college scam. Prosecutors say the scheme was overseen by California college admissions consultant William “Rick” Singer, who has admitted to facilitating the cheating scam and bribing coaches to present the parents’ children as fake athletic recruits. Prosecutors allege that Loughlin and her husband, Los Angeles fashion designer Mossimo Giannulli, agreed to pay $US500,000 to have their two daughters named as recruits to USC’s rowing team, even though they did not row competitively. Huffman, who is married to the actor William H. Macy, is accused of making a $US15,000 contribution to Singer’s foundation in exchange for having an associate of Singer’s in 2017 secretly correct her daughter’s answers on an SAT college entrance exam at a test centre prosecutors say Singer “controlled”.